Dutch Door with Screen that is Retractable-So you don't see it! 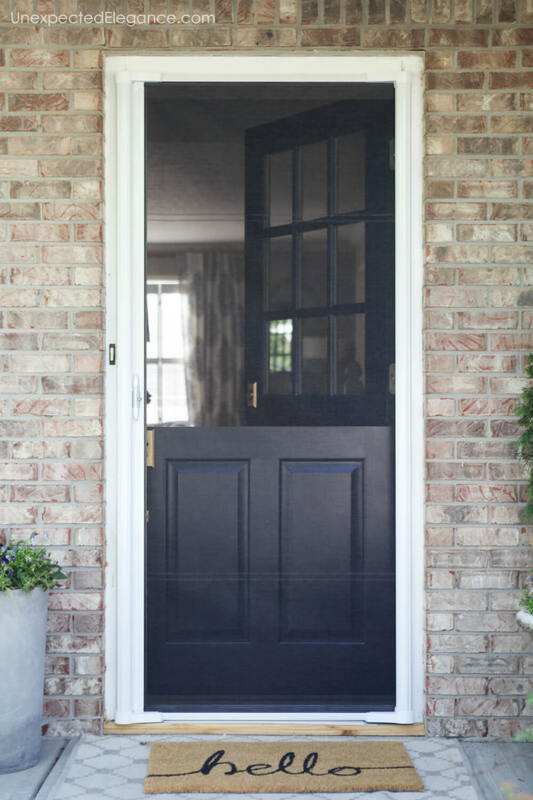 Check out my cost-effective Dutch door screen! It’s an inexpensive retractable screen that I installed myself. 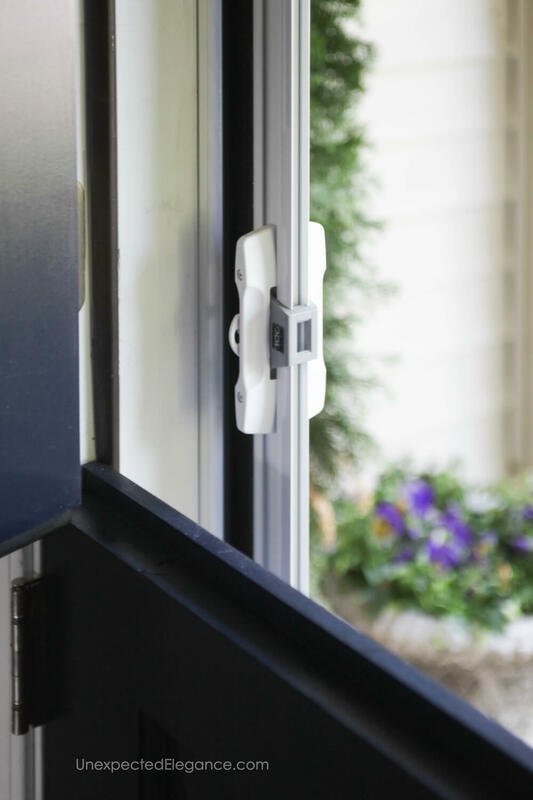 A couple of weeks ago I shared our new front door and have gotten some questions about bugs… Of course, the whole purpose of having a Dutch door is to be able to keep the top open on cooler days. However, what about bugs getting inside? So here’s my solution for a Dutch door with screen! I did NOT want to get a pretty door and immediately cover it with a storm or screen door. So I did some research and found a good compromise. Do you see the screen door in the picture below? It’s a retractable screen, so it’s less noticeable…all the function without the distraction! The best part about it is that it’s VERY affordable and you can install it yourself. Here is the exact one we have: HERE. It is around $200 and super easy to install/remove (if we want to take down in the winter). You can see the frame a little more closely in the photo below. It looks a lot like molding. 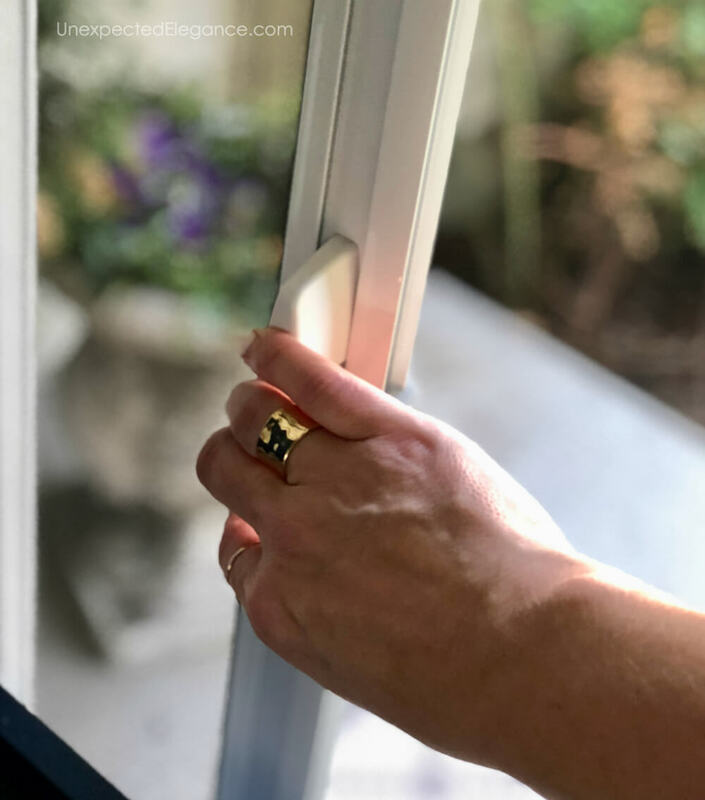 When the top section of the Dutch door is open, the handle is in a perfect position to close it from the inside. The picture below you can the screen when it’s open. It’s really hard to see, so there are some faint lines toward the top and bottom…safety first! Overall I’m very happy with how it turned out. It is a great solution for showing off the door and letting the breeze in/bugs out. 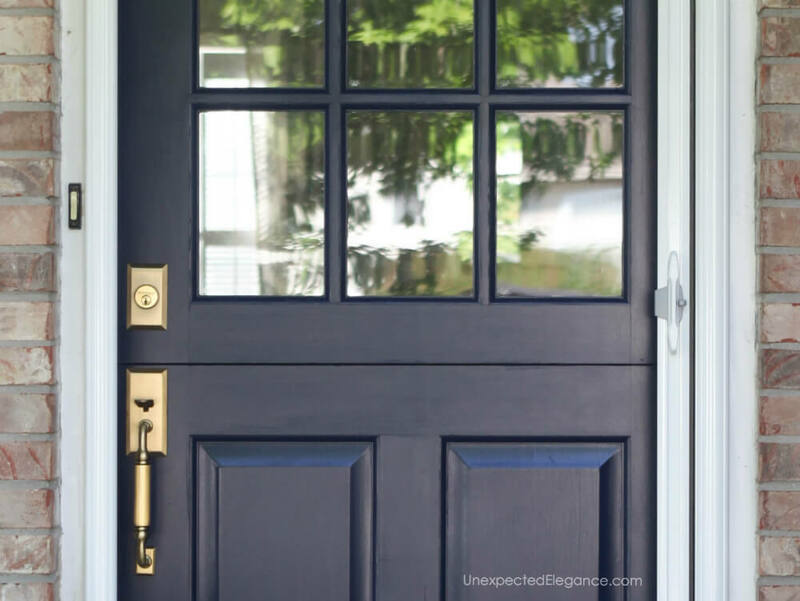 If you are interested in learning about the door and hardware, check out my Front Door Makeover. 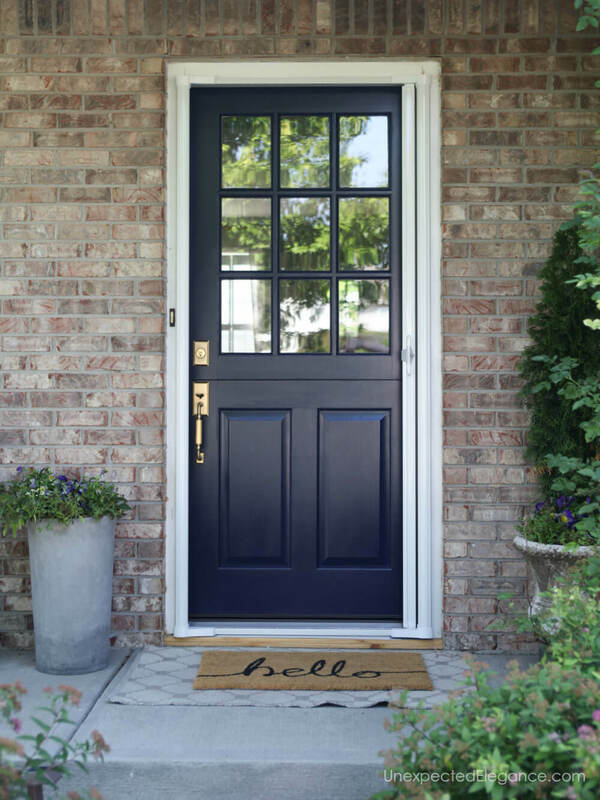 If you love the idea of a split door but aren’t ready to purchase one, I have a GREAT solution. 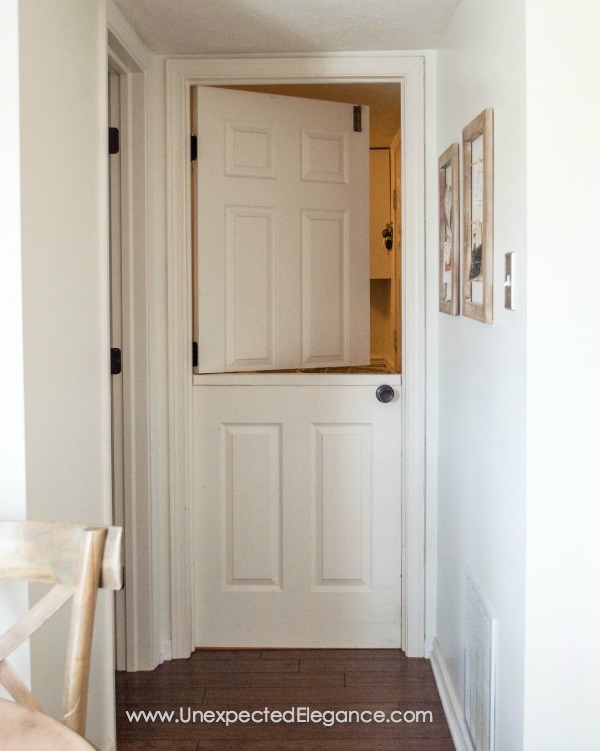 Check out my tutorial for turning an interior hollow core door into a Dutch door. It’s perfect for small kids or pets that you want to keep out of (or in) certain areas of the house…and still be able to see and hear them.